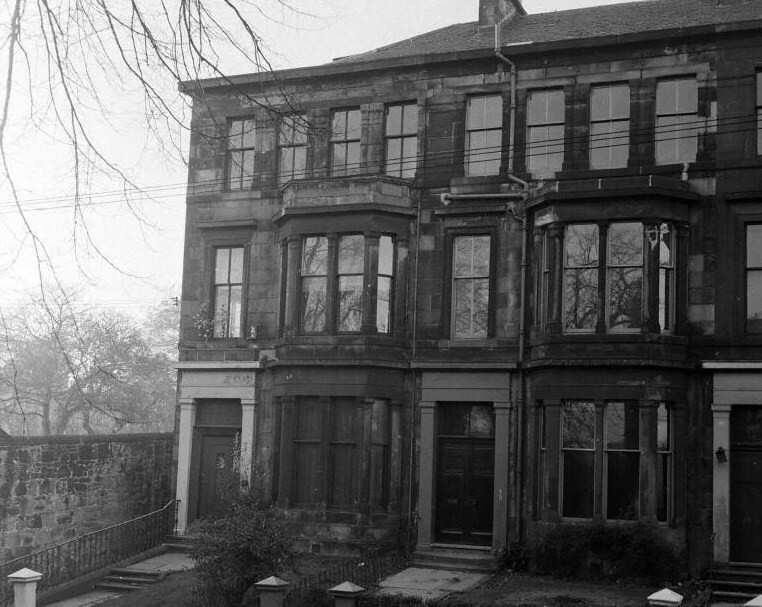 Known as 76 Southpark Avenue, originally as Ann Street, now demolished for the University of Glasgow. 1868-79 Borthwick, Alex., wholesale smallware merchant, 9 Gordon St., later fancy goods, 473 Sauchiehall St.
1869-82 Borthwick, Mrs. Alex., smallware merchant, 94 Argyle St. & Berlin wools & fancy goods, 473 Sauchiehall St.